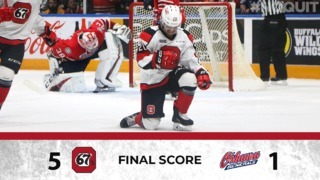 The Ottawa 67’s have fallen behind 2-1 in the best-of-seven series against the Hamilton Bulldogs. After splitting Games 1 and 2, the Barber Poles were back at the Arena at TD Place for a first-place caliber showcase. In Game 3, the Bulldogs sent out a message not once, not twice, but eight times, as they rallied over the young Ottawa squad, 8-1. When times get tough it’s important to just go with the flow, and luckily for Ottawa, they’ve got some of the best flow in the league. 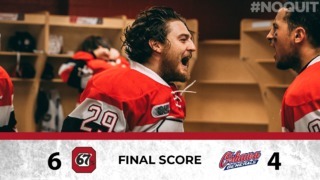 From the bleach-blonde mullet of Tye Felhaber to the red double-mohawk of Olivier Tremblay, it’s obvious the 67’s have the hair to make a comb-back. 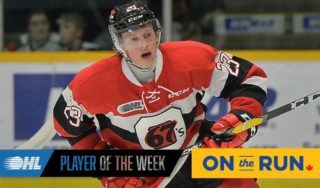 BarDown Hockey, TSN, and Spittin’ Chiclets saw the remarkable display of salad from 67’s on-and-off ice stud, Felhaber. His classic take on the Minnesota State High School All-Hockey Hair Team had the hockey world wanting more greasy flows from the Nation’s Captial. If your local grocery store is out of blonde or red hair dye, you can thank the Ottawa 67’s for that. It’s easy for the Hamilton Bulldogs to get distracted on the ice as they skate by the long, luscious blonde curls of the Ottawa boys so the excess hair dye was well worth it. There’s just no counting out a team with great hockey hair, not only does it bring the team closer together but it also just makes you a better hockey player, it’s fact. 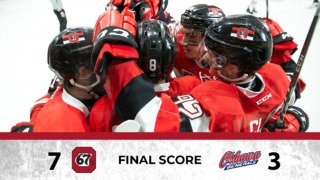 With taped sticks, sharpened skates and of course, brushed hair, the Ottawa 67’s will enter Game 4 ready as ever. Game 4 starts at 7 PM at the Arena at TD Place. Playoff tickets are available here > Playoff Tickets or, by calling 613.232.6767 or in person at The Box Office at TD Place.